I’ve been seeing a newer product at the store recently, and decided to try them out. 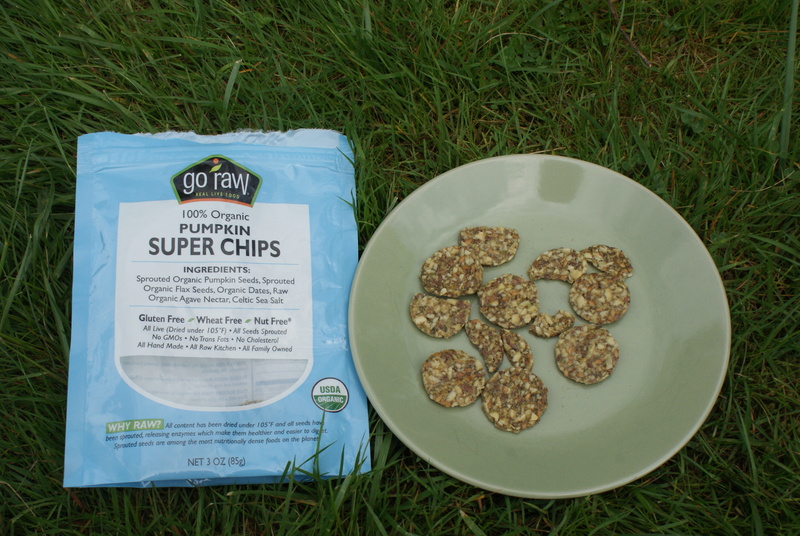 I chose the Go Raw Pumpkin Super Chips to snack on while on the go. The ingredients ate Organic Pumpkin Seeds, Sprouted Organic Flax Seeds, Organic Dates, Raw Organic Agave Nectar, and Celtic Sea Salt. The package advertises that the snacks are dried under 105 degrees F, all seeds are sprouted, it’s all raw and non-GMO. The flavor I chose is lightly sweetened without being too sweet. The seeds taste fresh. The package is 3 oz, which I thought at first was pretty small, but with these protein- and fiber-packed nuggets, a little goes a long way. I would have a small handful and feel satisfied. I think these would make a great trail food, providing an alternative to traditional trail mix. 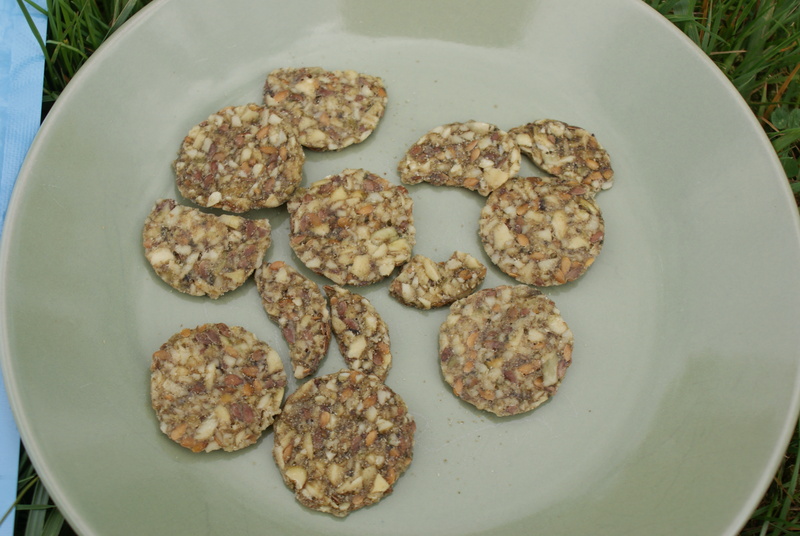 Go Raw also makes bars, Flax Snax, granola in various flavors, sprouted seed mixes, and chocolate. They have some interesting flavor choices, such as masala chai and pizza flavor. With most packaged products, I figure I can make the same thing cheaper and healthier myself at home, but honestly, I would never go to the trouble of sprouting and drying seeds to make my own super chips. It will be nice to have another product to add to my arsenal of quick and healthy snacks for on the go. Disclaimer: I bought these with my own money, and all opinions are my own.